I am very excited about Author Nights on Medieval Romance Novels! Author Night continues through August and then it will be gone. 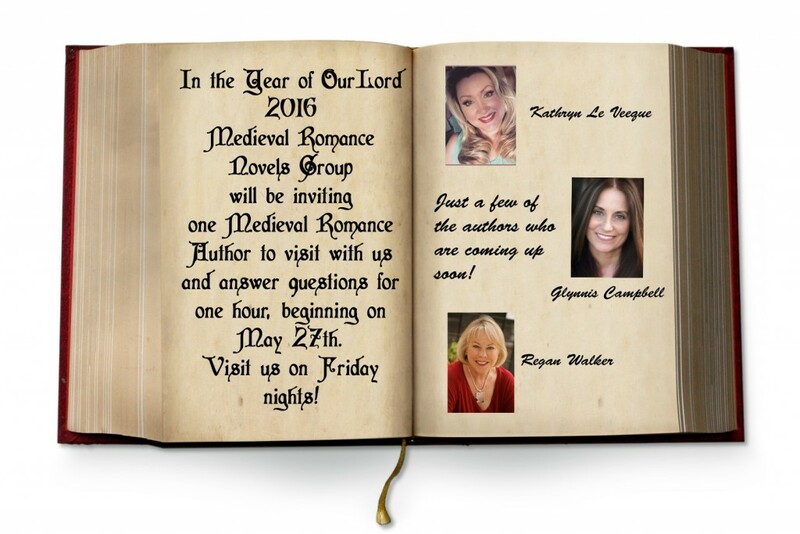 Don’t miss out on meeting some of your favorite Medieval Romance Authors! Go to https://www.facebook.com/groups/MedievalRomanceNovels/ and follow the link to the Author Night Event. See you there!